Love your Mora™ knife, but want something tougher? Check out the Battle Horse Knives™ Feather Stick™. The Feather Stick, top, is based on the time- tested, classic Scandinavian design, exemplified by the Mora 840 Companion. The Boy Scout Troop I hang out with has bought 90 of the Mora 840 Companions, over the years, for the scouts to use. This purchase recommendation came after I bought a couple and torture tested them. I typically don’t abuse knives. But these were going to be issued to inexperienced kids, and any scout worth his salt can screw up an anvil. So I batonned one through a hard, knotty chunk of firewood, twisted the blade, stuck it in a tree and wiggled it back and forth, dulled and sharpened the blade and in general, displayed a total ignorance of knife handling and use. The knife wasn’t tested to total failure – anything will break if you work at it long enough – and I was satisfied that the 840 would be a safe tool for scouts. But though I love the design, I always wanted an upgrade, with a full tang blade, micarta handle and a solid leather sheath. And some of the adults who used and appreciated the 840 also mentioned they would like a tougher knife. So when I saw the Feather Stick, I ordered one immediately. It arrived the day before a backpacking trip with scouts, so the newbie went along. Mine came with a green bead blasted micarta handle, but there are other options. I used it, and here’s what I found out. The design: The Feather Stick looks, feels and handles like a Mora clipper. Moras are made in Sweden. But the original Scandinavian knife design probably goes back about 1000 years, to some Viking-type, who was looking for a useful, everyday tool. It wouldn’t be particularly useful in battle, or for raiding, pillaging and plundering, but everybody carried a small knife as part of their wardrobe. The knife would be used for everything. And so this knife design evolved to what it is today, and that’s what I like about it. You would be hard-pressed to find a more tested, practical blade/handle combination that can do just about everything. I have used my 840 for everything from whittling and cooking to cleaning fish and skinning deer. The 840 may not have always been the best knife for a specific task, but has always served admirably. The handle fits my large hands very well, and is also good for smaller hands. Scandi grind: My favorite grind is the full convex. I like it so much, I have had several Scandi grinds re-ground into full convex. But for bushcraft, wood work and ease of sharpening, it is really hard to beat the Scandi. This becomes particularly important for the beginner. If he/she can’t keep the knife sharp, it soon becomes a chore to use it. With a Scandi grind, lay the bevel flat on the stone and it becomes the sharpening guide. Handle: IMHO, this handle design is one of the most ergonomic on the market. Everyone, from the smallest 11-year-olds to ham-handed people like me can use the handle safely. I’ve done extensive whittling and carving with my 840, and never had any problems whatsoever. For a user handle, I want micarta. It’s bullet proof, and gets tacky when wet. I’ve used several micarta handles where they got immersed in blood, or covered with fish scales and slime. They were always safe to use. But I also really like wood handles, so pick your favorite. I love green, because of my Irish heritage, and I particularly like the bead blasted green. The texture and coloring remind me of the pilings on the Mississippi River. The Mora sheath, top, needs to be modified for safe carry. The Feather Stick comes with a leather dangler. Sheath: My biggest complaint about a 840 is the crappy plastic sheath they come with. Granted, in a knife that sells for less than $20, you can’t expect much. Troop 18 came up with a way to modify the standard sheaths to make them safer. The Feather Stick comes with a stout leather dangler sheath. IMHO, a dangler is safer and easier to carry than just about anything else. Steel: The Feather Stick comes in 01 tool steel. I haven’t used 01 before, so I’ll continue to check it out. My initial testing shows the O1 holds an edge very well, and maintaining that edge shouldn’t be hard. Blade length: IMHO, a four-inch blade is about perfect for an everyday carry or do-it-all knife. I want a shorter blade for carving and small game processing, and a longer blade for butchering and bushcraft. Decide what you’re most likely to use the knife for and choose accordingly. The Feather Stick, top, has a 1/8-inch thick blade, and the spine is sharpened at a 90-degree angle. 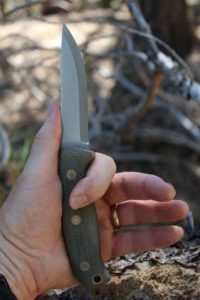 Full Tang: Any rigid-blade knife that might be used as a survival knife (and that means all of them) should have a full tang. This option makes a stronger knife, and one that is less likely to break under extreme conditions. Spine: The spine is ground at 90-degree angles, like an ice skate, so it can be used to process tinder and scrape a ferrocerium rod. This could come in handy and save your sharp edge. Made in the USA: All Battle Horse Knives are made in Cambridge, Ohio. Call the company (like I did) and a pleasant person with a Midwestern accent answers. The employees make a living wage, pay local, state and federal taxes, and contribute to their community. Support American small business and keep jobs here! …hmmm…still working on that one. The knife is just about perfect for someone who wants a Mora-style knife. OK, how about this – the “Feather Stick” doesn’t sound like a very, manly macho blade. Not compared to “Thug” or “Hoodlum” or the like. The knife doesn’t appear to be “tacticool”. It might not look very badass at the militia meeting, or clipped onto your body armor. So do you need a Feather Stick? Comparing a $15 Mora to a $150 Feather Stick is so apples and oranges. Somebody will (justifiably) argue that you can buy 10 Moras for the price of one Feather Stick. Sure. But will you take along multiple Moras into the wilderness on the off chance that one might fail? Or will you wear two or three inexpensive Moras in the off chance one might fail? Here’s my take: If you like a Mora-style knife, but want a beefier version with premium steel, then you need to invest in a Feather Stick. 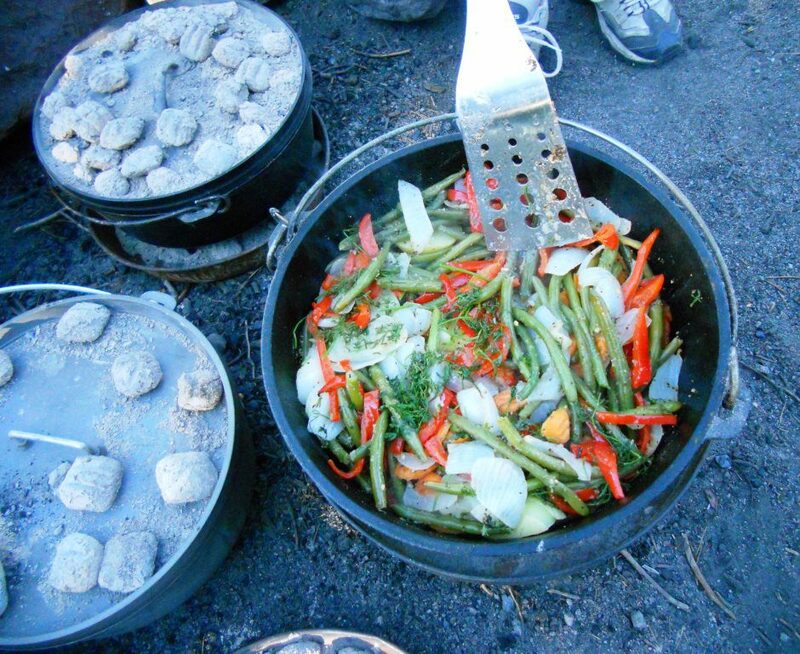 Remember, (the old mossy cliche′) the best survival knife is the one you have with you. 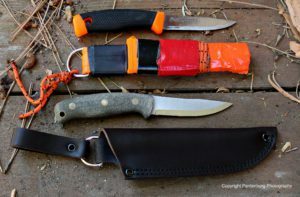 If you’re going to rely on a Mora-style knife as possibly your only available survival knife, don’t you want the one with the best possible quality? This seems similar in some aspects to the battle horse tree frog, but fixed instead of folding. I got the tree frog but found the O1 does rust easily if stored wet (easily cleaned with baking soda and a damp paper towel). Battle horse does offer the tree frog in s30v stainless for an upcharge and 90 business day wait, so might be able to also make the feather stick in s30v or another steel. 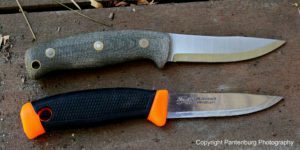 Mora uses 01 steel to make their carbon steel knives!